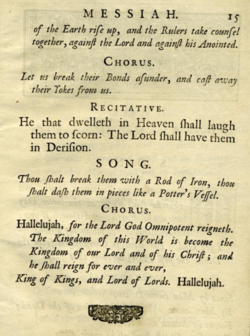 Composed in London during the summer of 1741, <i>Messiah</i> was first performed in Dublin in the spring of 1742. The work has always been suspended between the sacred and secular spheres. 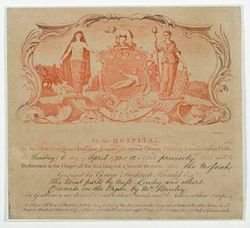 The title <i>Messiah</i>, used for its first performances in Dublin, suggests a sacred work, although it was initially performed as a concert piece. 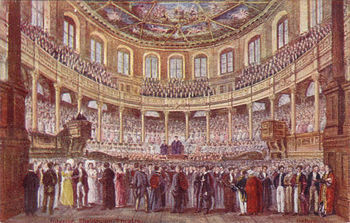 It was simply called a <i>Sacred Oratorio</i> in the libretto for its London premiere (1743), but objections were consequently raised to its performance in the theater. 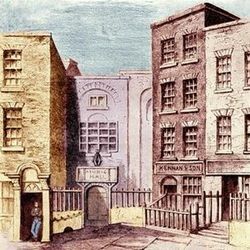 Not until performances began in the chapel of London's Foundling Hospital (1750) was the ambiguous nature of the work matched by a similar ambiguity of performing space. Eighteenth-century classicism appropriated for the secular world much material from Biblical studies.<ref>Peter Gay's phrase "pagan Christianity" (1966: Vol. 1[http://en.wikipedia.org/wiki/Peter_Gay]).</ref> <i>Messiah</i>'s chameleon ability to transcend social and cultural boundaries, which continues to expand up to the present day, was an important instance of this phenomenon. 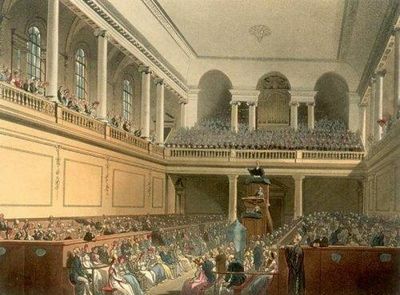 When he composed <i>Messiah</i>, Handel expected it to be performed in London, but two months after its completion he was invited to Dublin for the purpose of offering to the Anglo-Irish community there a subscription series of concerts. The series was such a success that a second series was launched on February 17, 1742. <ref>Starting with a performance of <i>Alexander's Feast</i>, the new series continued on Wednesdays through April 7, when the featured work was a revised version of <i>Esther</i>.</ref> As a bonus offering an open rehearsal of the oratorio took place the day after the second series finished. 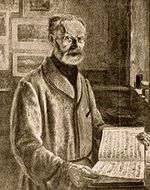 On the basis of the open rehearsal, <i>Messiah</i> was immediately declared "the finest Composition of Musick that ever was heard." Although there was a performance on June 3, 1742, and February 1, 1744, it appears that from 1745 onward <i>Messiah</i> was an Advent work in Dublin. The actual number of special and seasonal performances there within Handel’s lifetime must easily have reached fifteen. Handel was present for the premiere, but in subsequent years others were in charge. 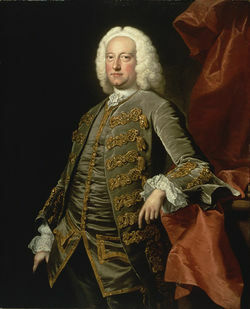 G. B. Marella was the conductor in the 1750s. The performing tradition in Dublin is less well documented than in England. We can be sure, though, that <i>Messiah</i> was invariably well received there. Attendees traveled tens of miles to witness the performance, year in and year out. The current effort to publish all known music by Handel resides with the edition managed in Halle, Germany. It was initiated in 1952 with the intention of supplementing HG, but discoveries continue to be made, and in 1958 it was launched as a new edition. New editions are organized (mainly by musical genre) into series. Particulars can be found at the editions' website[http://www.haendelgesellschaft.haendelhaus.de/de/hall._haendelausgabe/]. The edition is distinguished from others by the abbreviation HHA, but HWV <i>Händel-Werke-Verzeichnis</i> [http://en.wikipedia.org/wiki/H%C3%A4ndel-Werke-Verzeichnis] are now preferred. The earliest collective use of the the variant material included in the <i>MuseData</i> score and parts was by Philharmonia Baroque Orchestra (directed by Nicholas McGegan) with the UC Berkeley Chamber Chorus (led by Bruce Lamott). Harmonia Mundi recorded a "main version" and most variants in 1991 (HMU 907050.52). The CD-user could, by following a trail through the bands of the CD set, program any of the versions that have survived from Handel’s lifetime (or shortly thereafter). More recently, these materials have been made available online through multiple vendors, e.g. 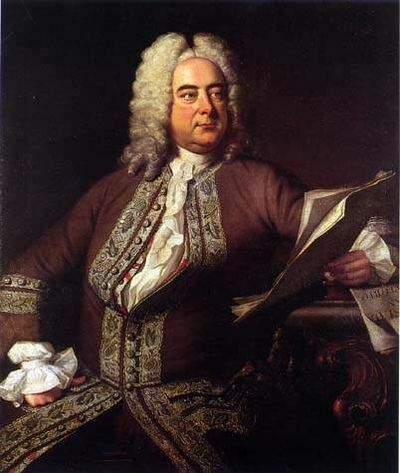 amazon.com (http://www.amazon.com/Handel-Messiah/dp/B000QQUX1Y) and iTunes (http://itunes.apple.com/us/album/handel-messiah/id82182810). Many other recordings of the work exist, but these are the only cases we know of that make alternative versions available for comparison. Baselt, Bernd. <i>Dokumente zu Leben und Schaffen</i>, v. 4 of the <i>Händel-Handbuch</i> Kassel: Bärenreiter, 1985 being a revised and expanded version of Deutsch's <i>Documentary Biography</i>, cited below]. 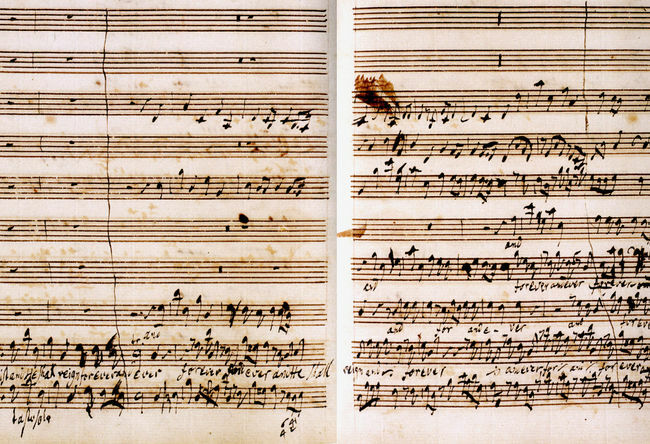 British Library: Autograph Manuscript [R.M.20.f.2] of Handel’s <i>Messiah</i> (as a “virtual book”): http://www.bl.uk/onlinegallery/virtualbooks/detect.html?id=38FD72B2-5B98-4FC2-AAAE-98E717E8D512&accessfolder=handel. Smith, Ruth. <i>Handel's Oratorios and Eighteenth-Century Thought</i>. Cambridge, 1995. Published on December 21, 2011 by the Center for Computer Assisted Research in the Humanities[http://www.ccarh.org] at Stanford University. Comments may be sent to esfield ||at|| stanford.edu. This page has been accessed 627,127 times.